Brutus Imperator and L. Plaetorius Cestianus. 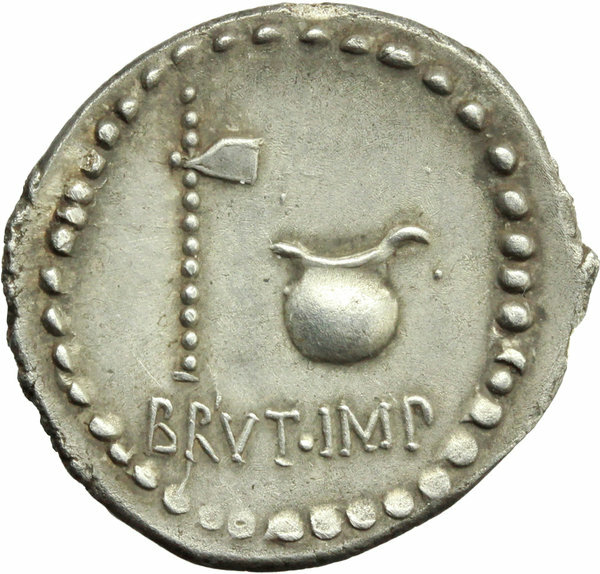 AR Denarius, mint moving with Brutus, 43-42 BC. Obv. L. PLAET. CEST. 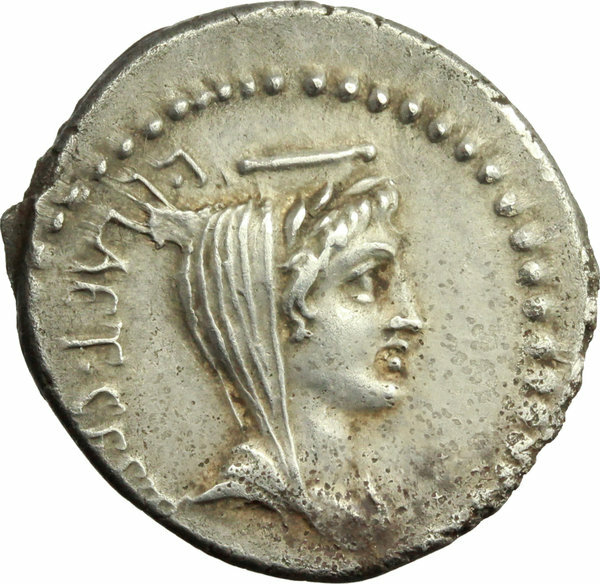 Laureate, draped and veiled bust of Ceres right, surmounted by modius. Rev. BRVT. IMP. Axe and culullus. Cr. 508/2. B. (Junia) 51. and (Plaetoria) 12. AR. g. 3.68 mm. 19.00 RR. Very rare. Superb light old cabinet tone. A few minor punctiform corrosions on obverse, otherwise about EF/EF.